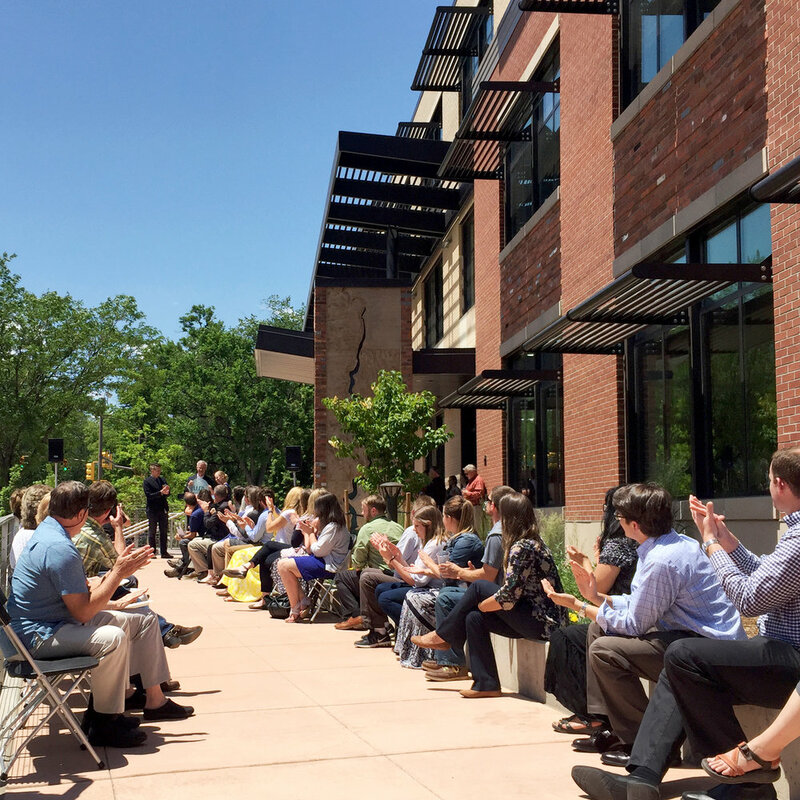 We're proud to be a part of AIA Colorado's Architecture Month 2016! Check out our office tour below and see more at their facebook page or website. AIA Colorado: Why did you decided to become an architect? Jason: My father and grandfather were constructors; because of this I had a different view of buildings as a child. For me, buildings were about people coming together to create something that didn’t exist before. Architecture is the first step in that process and is where I found my passion. What is a typical day like for you? Run us through your day-to-day responsibilities and “to-do” lists. Randy: Make breakfast for my wife and sons, find work, listen to our clients, make sure we do the work the best we can, sketch, erase, sketch, run along the Poudre River, write, call, critique, eat dinner with my family, read, sleep, start over. How you find inspiration for your projects? Randy: Place drives everything. I can’t imagine a solution until I understand the site, the climate, the user. What are the biggest challenges you face throughout a project? Jason: Communication. Whether it is communicating with colleagues, clients or contractors, Architecture is about communicating ideas. Randy: Every day brings new challenges and no project is ever the same so there is a constant need to learn and grow. Jason: It is never boring. Randy: The next one that comes in the door. Jason: We have recently been working on a couple of 400’ tower projects in Hawaii that are quite fun. 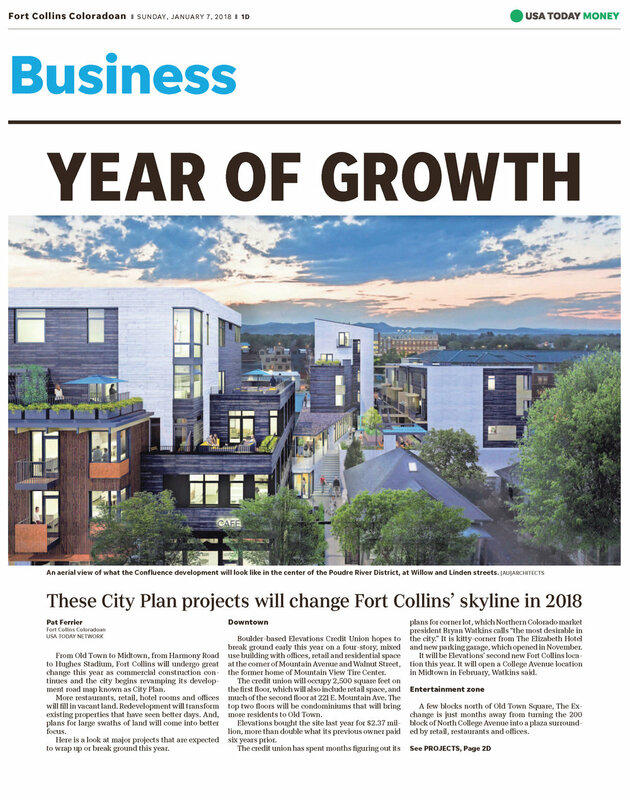 What is your favorite building in Fort Collins? In Colorado? Randy: In Fort Collins, the Ranchway Feeds building—it is all muscle and no pretention built over a hundred years. In Colorado, Balcony House at Mesa Verde: a great view, a water source and a railing. Jason: Danforth Chapel at CSU. Randy: I love introducing my boys to new experiences and places. Jason: Traveling with family, fly fishing and spending time at the family cabin. We love to show off the space, so don't be intimidated by the rat-rod exterior and come visit us at 405 Linden Street!